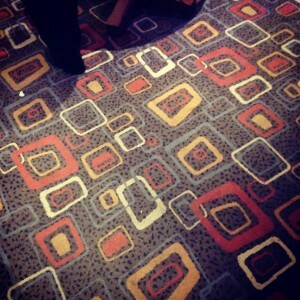 Wetherspoons Carpets: A Field Study | Unofficial Britain. JD Wetherspoons is the Brahma, Vishnu and Shiva of British booze. The creator, preserver and destroyer of pub culture. The great trinity of cheap drinks, pub snacks and fruit machines. Curry Clubs, Steak Tuesdays, Mixed Grills and pints of Tuborg for £2.49. I love and hate Wetherspoons in equal measure. I hate its dominance on the high street and its early tactics of under cutting genuine local establishments and putting them out of business. I love the fact that I can still buy a pint in London for £2.49. I hate that they don’t play music. I love the mix of people you get inside – a genuine cross section of the local area. I hate the lighting. 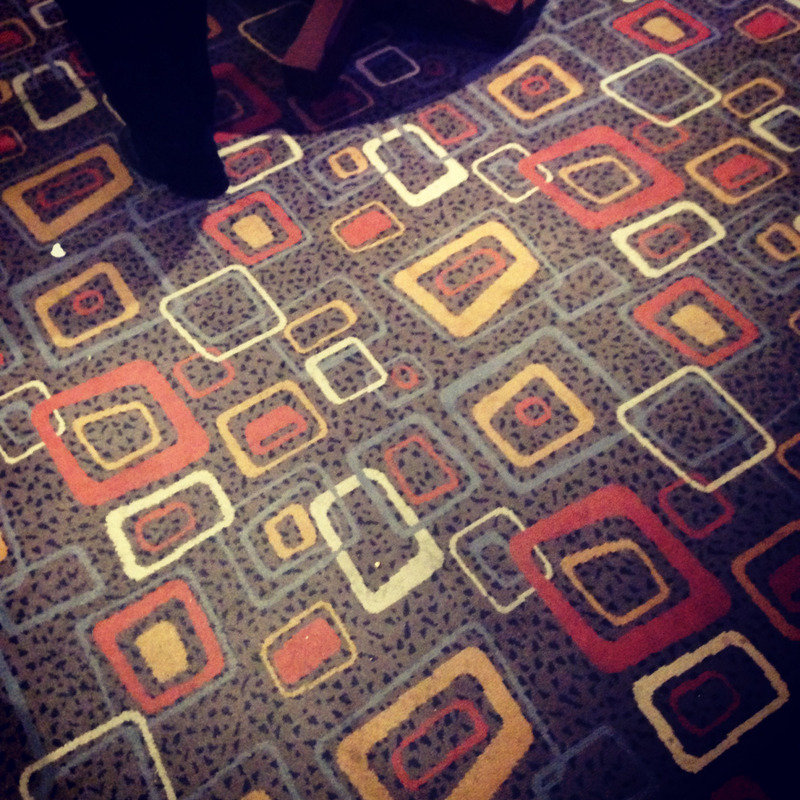 I have been obsessed with Wetherspoons carpets for a while now after spending an hour on my own in Westgate Spoons, Canterbury staring at one. The patterns are often intricate, frequently lary and full of stories from previous revelry. 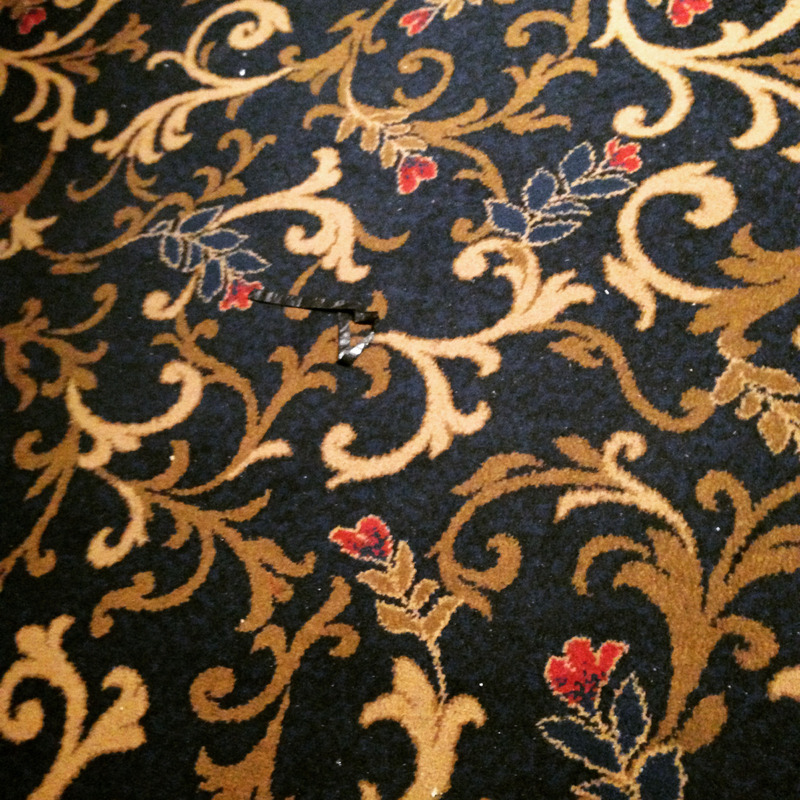 The Spoons carpet is a thing of beauty – a pointlessly complex piece of art for a pub chain that doesn’t seem to care that everything else looks totally boring. 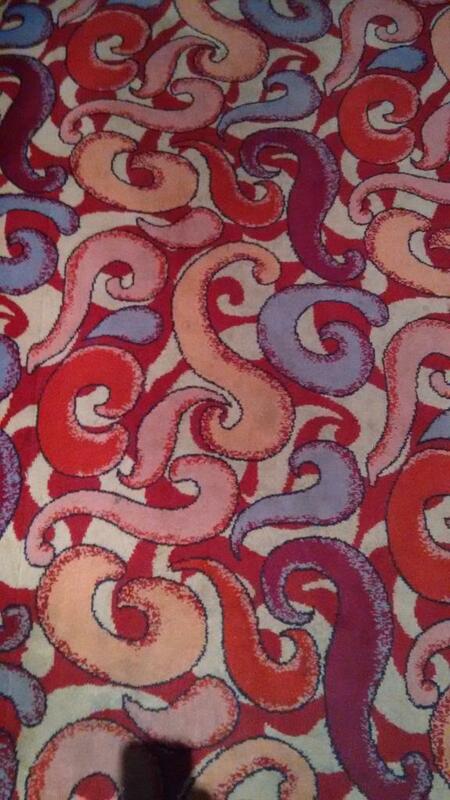 I’ve often wondered if the psychedelic quality of Spoons carpets is designed to make you feel slightly drunker than you are and thus encourage you to buy more drinks to maintain the boozy high. a) this isn’t a good advert for my drinking habits and..
b) there’s something in this, given the positive response on my Tumblr account. I’m not a travelling alcoholic so this has taken me a while to get going, however, as the evidence shows – so far… no repeats. 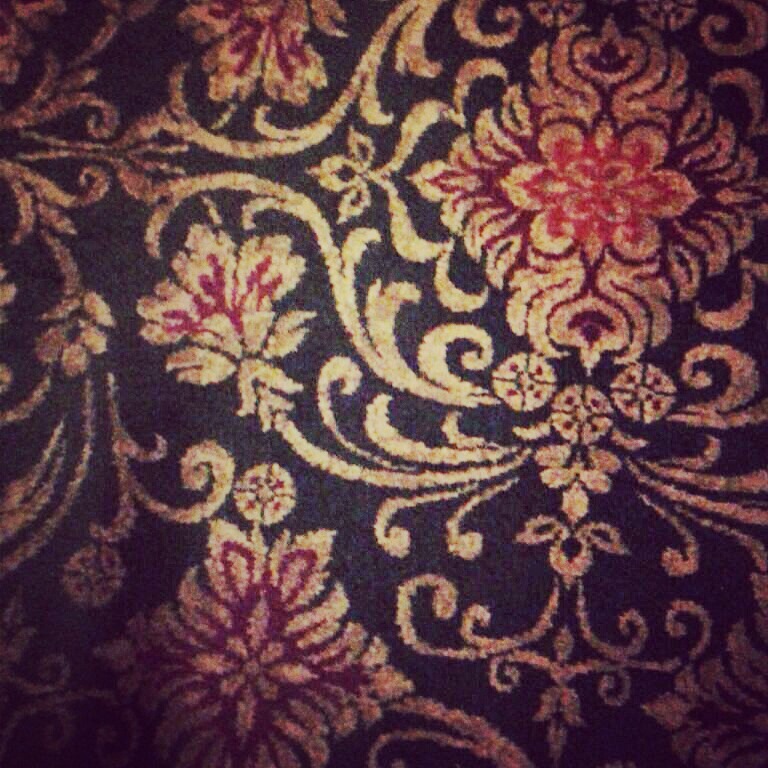 My aim is to get a picture of every one of the 913 Wetherspoons carpets to see if there are any repeats, or any patterns in their aesthetic construction that can be teased out. Once I’d announced the blog, I already had submissions coming from people via Twitter (tweet me @kitcaless), from Glasgow, Durham and others. People love Spoons, or at least, we are often in them because most of us are skint. So it seems natural to ask people to send me a picture of their local Spoons carpet. I could probably just ask the Spoons PR people, but that would be no fun at all. In fact, I wouldn’t even have the fun of sinking a cheap pint and eating a rubbery burger to offset the task at hand. Spoons is, whether we like it or not, now a weird British institution. It should be celebrated like Twiglets, Lemon Tree cafes and Danny Dyer. 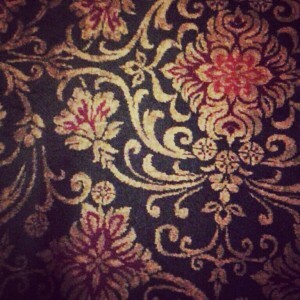 The carpets are the jewel in the Spoons crown. To help complete the full British collection of 913 carpets, please send your local Wetherspoons carpet to Kit Caless on Twitter. Kit is a writer, editor and broadcaster. He co-founded Influx Press, a small indie that publishes ‘site-specific’ literature. He writes for the likes of VICE and The Quietus and hosts Mapping the Metropolis on Resonance 104.4FM. 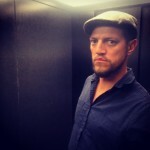 He also curates the hashtag #LossLit on Twitter with poet Aki Schilz.